Leave a comment or rate this post, unless you are the “lurker” I am about to talk about. To be clarified, “lurkers” refers to members who simply visit online communities to acquire knowledge and information without active posting behaviors. On the contrary, those who actively post messages are referred to “posters”, who could be seen as more psychologically connected to the online community than lurkers (Hicks et. al, 2012). As it’s an emerging rule of thumb that suggests that only 1% of the users of a user-generated platform actively create new content (i.e. poster), while the other 99% of the participants only lurking (i.e. lurker). Even though the majority of the members in online communities are silent members who mainly browse and search the online content created by posters, lurkers are still considered as indispensable “consumers” of online communities. Therefore, questions are raised to the relationship with online community support, member relations, and commitment. Yang et.al (2016) conducted a case study of a typical online community in China with seven million members by the end of 2015 – Pinggu.org, where people can exchange their knowledge or seek help regarding economics, management, finance, and statistics. demographic information about its members and each member’s posting history are gathered to test the relationship between perceived online community support, member relations, and commitment. The authors suggested a theoretical framework (Fig.1) to the question of how perceived community support shapes member commitment in online communities based on the theories of commitment and organizational support and explored how these effects are moderated by members’ social relations in terms of posters and lurkers. (Yang et. al, 2016) The phenomenon of lurking has been often overlooked in the past literatures, while the paper found out that perceived recognition for contribution and perceived freedom of expression were key to lurkers’ commitment to the community, though the commitments for posters would be increased by perceived support for member communication. Besides, this research also proposed the sense of trust and the norm of reciprocity as moderators between perceived community support and commitments. In other words, online communities’ manager could apply this knowledge to drive more commitments from both the poster and the lurker to online communities, that is, the sense of trust in the context of online environment would strengthen the effect of the felt expression freedom on lurkers’ online community commitment. On the contrary, the norm of reciprocity did not moderate the effect of perceived freedom of expression on commitment for the poster. First of all, given the fact that most of the past studies on the effect of organization support on commitment have been conducted in the offline context, Hence, the paper was making effort to fill the gap of the applicability of this effect in online user-generated platforms with applying both commitment theory and organizational support theory to the online environment. Nevertheless, in the research, the effect of perceived recognition for contribution on the commitments of lurkers were not elaborated to explain the mechanism of the lurkers’ commitments, which would also benefit the online communities if they could better facilitate the lurker’s preference while increasing their commitments, keeping in mind that lurkers are an indispensable part of online communities. Arthur, C. (2006). 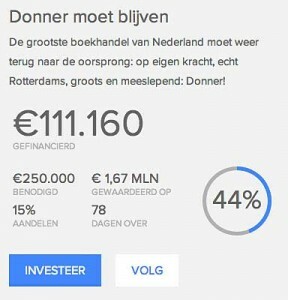 What is the 1% rule?. Available: https://www.theguardian.com/technology/2006/jul/20/guardianweeklytechnologysection2. Last accessed 3th March 2017. Hicks, S. Comp, J. Horovitz, M. Hovarter, M. Miki, J.L. Bevan, Why people use Yelp.com: an exploration of uses and gratifications, Comput. Hum. Behav. 28 (2012) 2274–2279. Yang, X; Li, G; Huang,S. (2016). Perceived online community support, member relations, and commitment: Differences between posters and lurkers. Information & Management. 54 (2017), p154-165. With a US based turnover of close to $15 billion in 2012 and growing (The NDP Group, 2013), there is no denying that the gaming industry, sometimes referred to as the interactive entertainment industry, is booming. However, as the alternative title of the industry indicates, gaming as a concept is diversifying. So where is the industry going? Whereas video games started out in arcade halls and on consoles with titles such as Pong and Pac-Man, they slowly made their way onto domestic computers and stereotypically became the domain of pubescent boys and young male bachelors during the 90’s. Although the term ‘gaming’ still conjures up associations with Return to Castle Wolfenstein and triggers discussions about the effects of interactive violence following the Columbine high school massacre, today it is no longer limited to this particular market. Three revolutions have since changed the foundations of the gaming market. Firstly, the rise of the internet has not only networked people and information, but has also socialized gameplay, giving rise to online communities of players associating and interacting. Presently, network dependent gaming ranges from traditional first person shooters to far more social games such as RuneScape. Secondly, with the introduction of the Wii in 2006, Nintento broadened the demographic reach of the console market by including new functionalities, turning interactivity into a physical activity and thereby making gaming a family pastime and a fitness choice (Farhoomand, 2009). In other words, by changing how people were gaming, they changed who were gaming. Thirdly, with the proliferation of smartphones, gaming was freed from the living room, the television or the pc. As games are now available at the flick of a thumb anywhere and anytime, traditional consol or pc based game developers are losing profits as location has become irrelevant (Edwards, 2014). Of course, this is not the end of the line for game development as another revolution is just around the corner. Appealing as it may seem to consider virtual reality the next logical step, this will not change the way in which we play games, where we play games or who is playing games. Possibly, the next big thing is augmented reality gaming, specifically in the form currently embodied by Ingress, a release by Niantic Labs, a Google subsidiary (Niantic Labs, 2014). The revolutionary idea is that location is no longer irrelevant as with other mobile games but has taken center stage in the gameplay design. Players need to interact with their augmented environment as the game takes the GPS location from the phone to reveal a world unseen with the naked eye. 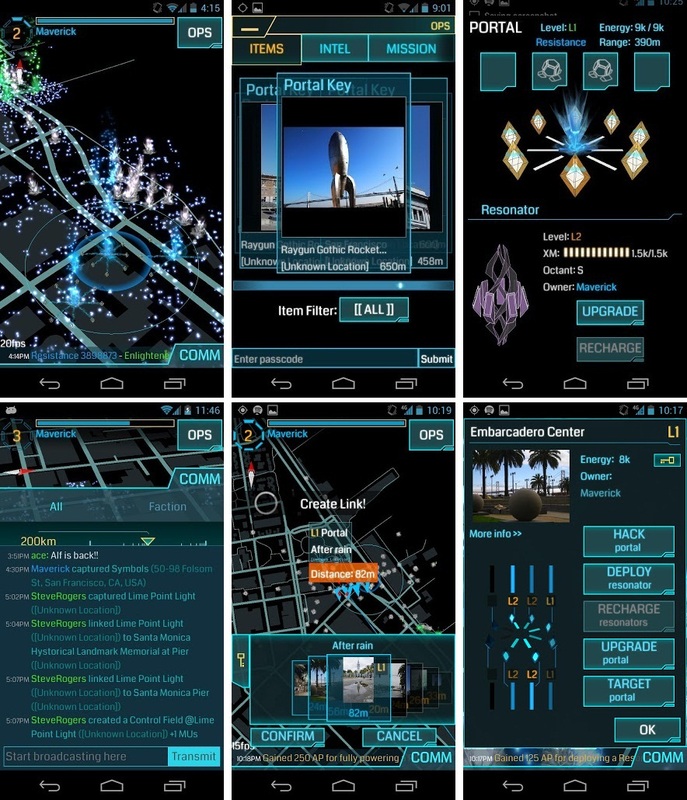 In essence, Ingress is a worldwide execution of a ‘capture-the-flag’ scenario with only two teams, blue and green, where the player must walk, phone in hand, from location to location to interact with a real-time online world. Furthermore, the game is designed in such a way that cooperation is necessary to utilize all the options of the game thereby stimulating the creation of both digital and real communities as players physically need to come together. Lastly, Niantic doesn’t decide where the ‘flags’ are planted but solely uses player input to decide how the constantly evolving augmented environment will grow, deepening the involvement of players with their surroundings. As such, Ingress ticks all the boxes spelled out by the previous changes in the gaming industry. It is very social, it is a physical activity and it is happens outside the living room, not by chance but even on purpose. The results are astonishing as the addictive game has drawn in a vast player community with people from all walks of life meeting in their free hours to ‘capture flags’ and have some fun. A few gameplay screenshots to give you a feel of the graphics of the game. What is more, Ingress wasn’t adopted on a whim. For more than a year the game relied on an invite only system with limited invites and waiting lists for new prospective players while the game was in its Beta or testing phase. Through word-of-mouth, the innovators and most critical users were drawn in, in an effort to empower this community of earlier adopters to contribute to improvements to the gameplay. The creator of Ingress was given full support by the Google top brass and during major gameplay events, Google VP’s were flown in to talk to the players and ask them what they could do to improve the experience, empowering the community (Vargo & Lush, 2008). So why go through all this trouble? The game is free of charge which draws in many players, but there is no revenue stream and there are no advertisements. The only value created for the players is fun, albeit very good and innovative fun. By drawing in a loyal community of early adopters and innovators, Google was able to release the game in a fully playable mode and also overcome ‘the chasm’ in the Technology Adoption Lifecycle by heaving reached a critical mass of players before releasing it to the general public (cf. Goes et al., 2014). In doing this, Google was the first (and so far most successful) mover onto the augmented reality gaming market, a market which is for now limited to their own operating system Android. Having established this strategic bridgehead, they’ve indirectly strengthened the strategic position of their operating system and created a new type of platform for gaming (Eisenmann et al, 2006). 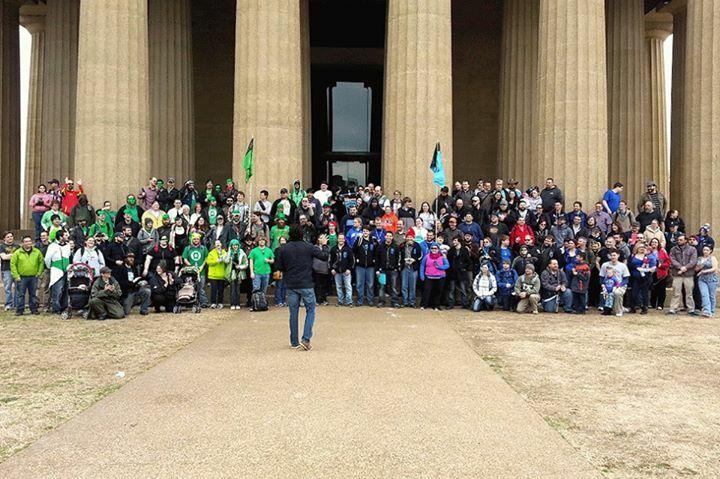 Ingress players from both factions take a group photo during a major game event. Farhoomand, A., & Joshi, H. (2009). Nintendo’s Disruptive Strategy: Implications for the Video Game Industry. University of Hong Kong, Asia Case Research Centre. Goes, P. B., Lin, M., & Yeung, C. M. A. (2014). 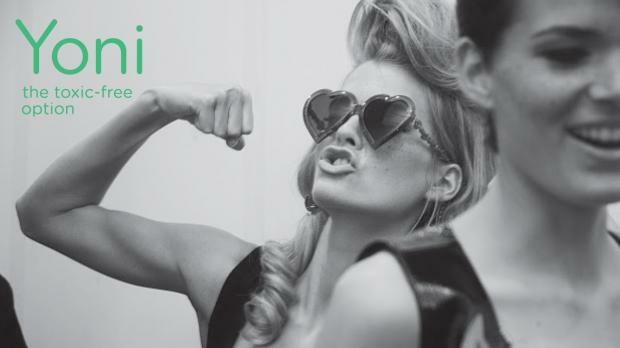 “Popularity Effect” in User-Generated Content: Evidence from Online Product Reviews. Information Systems Research. The NPD Group, (2013). 2012 Games Market Dynamics: U.S.
One more successful idea from Coca-Cola surprised the consumers last summer! “Share a Coke” with your friends, family and loved ones! The message was spread and Coca Cola increased its sales and website traffic rapidly. The campaign started in 2011 in Australia with the classic Coca-Cola and it was mostly focus on the young ages between 18-25. The results were astonishing, youth consumption was rapidly increased and the traffic in Coca-Cola website increased by 870%. Two years later in UK the campaign launched again but this time all the three types of Coca-Cola were available. The most common names were printed on bottles and cans which were available in supermarkets. The next step was to transform the campaign more direct and personal. In selected spots consumers were able to create their own products with a name of their choice. Long human cues in several cities and people holding the “special” bottle or can contributed effectively to the launch of the new Coca-Cola campaign. In September, after the end of the tour, Coca-Cola still offers the opportunity to consumers to “Share a Coke”. The campaign in social media continues and individuals still have the opportunity to create their own online bottles and share it. For example “Tweet your photos @cokezone with #shareacoke” or through the facebook page. Coca-Cola is a company which follows a specific strategy, to connect consumers’ personal experiences with its products. Advertisements related to family moments or Christmas time constitutes usually the concept. Summer 2013 was definitely a period marked by the logo “Share a Coke”! The main goal was to persuade consumers to share the experience of drinking a Coca-Cola with favorites such as family, friends and partner. The chance of creativity and the appearance of names in the package attracted individuals to participate in the campaign. The company succeed to offer a product affordable and personal and simultaneously to make everybody fells unique and special. Once again Coca-Cola adapts to the market environment and proves that the well-structured marketing strategy which follows can be successful. Combining the traditional with the modern and challenge the customer to participate actively, not only increased sales but also generated a special relation between the company and customers.